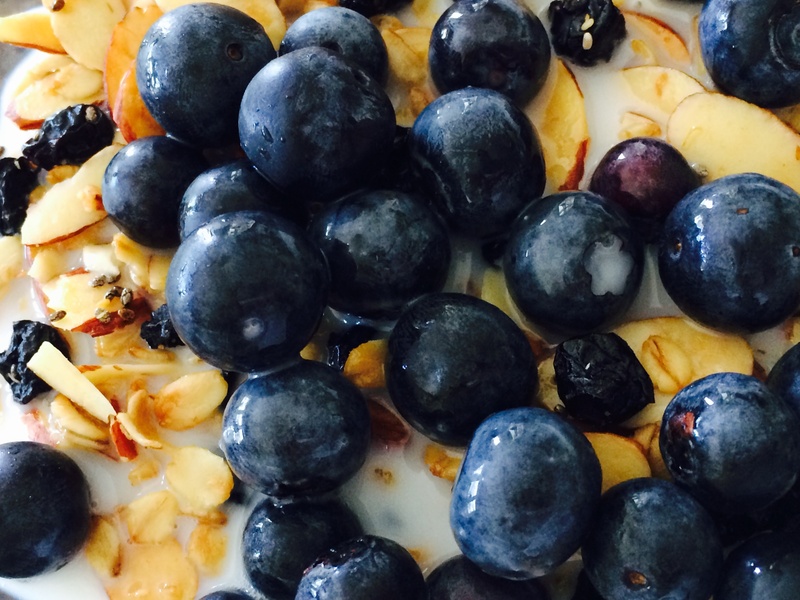 I’m a yogi and I make granola…a lot. This is a stereotype that I wholeheartedly embrace. 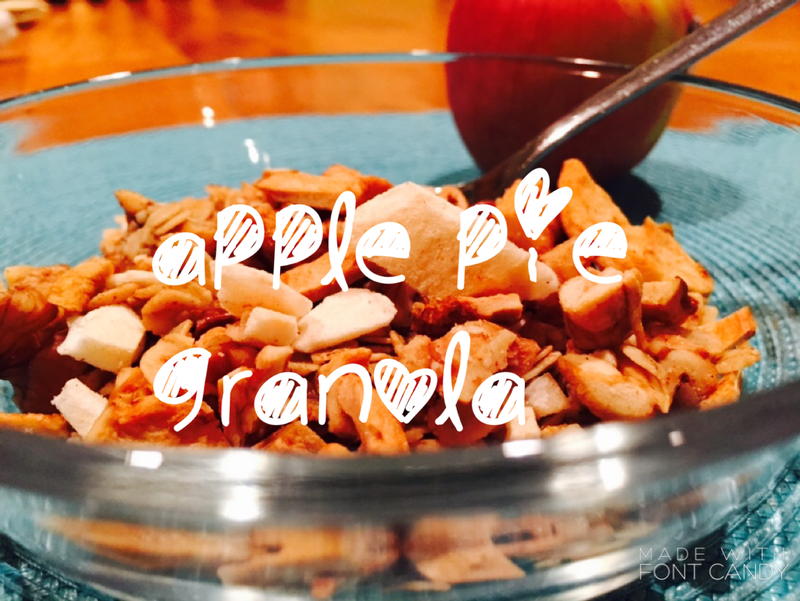 I’ve posted several granola recipes in the past two years, but this one is extra special to me. 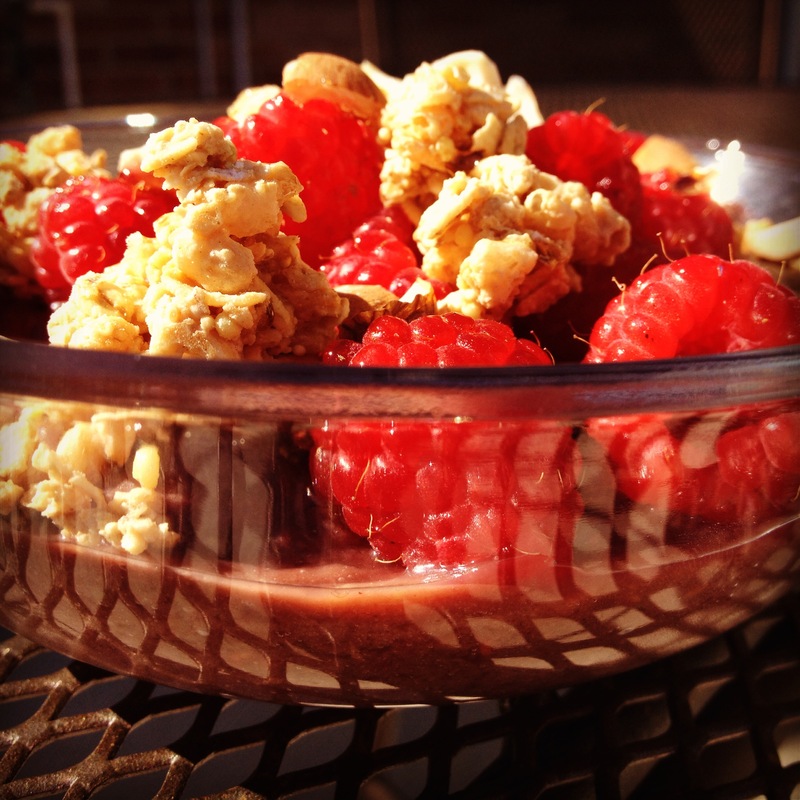 It’s a standout for two reasons: first, it’s CLUMPY and second, it has MACA. 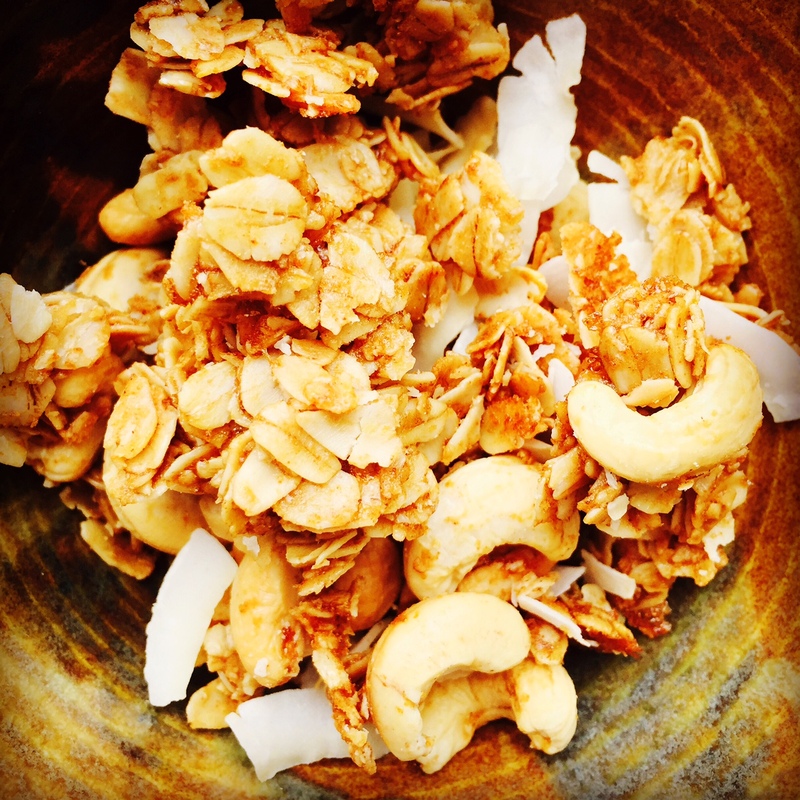 I have been trying for so long to come up with a tasty-not too sugary-clumpy-chunky granola recipe. It’s harder than you’d think. Well, this recipe has the clumpy thing going on and I love it. So while it’s still great as breakfast in a bowl with let’s say cashew milk (oh, man), it’s also just an awesome snack that you can put into a little wax paper bag and be on your way. 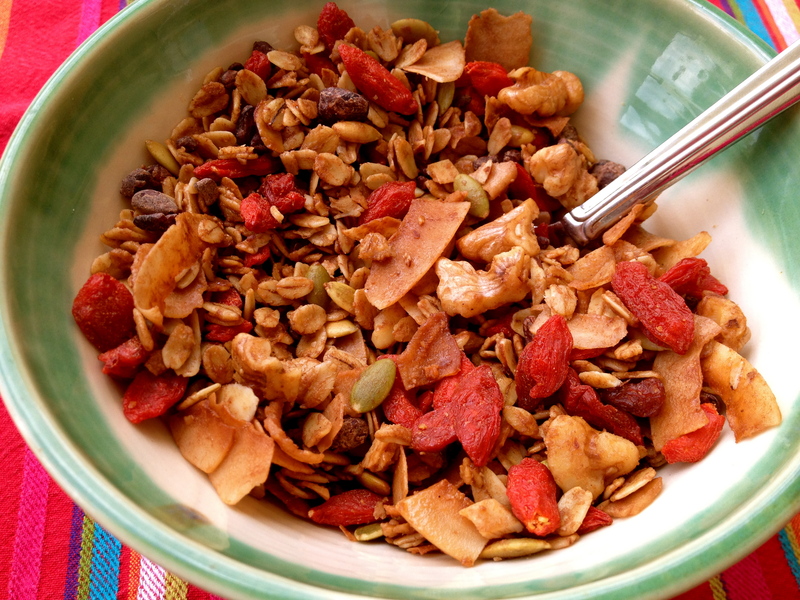 Here’s my summer go-to granola. Blueberries are so good right now. And they are even better if you can find a place to pick your own. We are lucky where I live to have a wonderful blueberry farm about a half an hour away. Houston peeps if you haven’t been to Moorhead’s Blueberry Farm in Conroe, do yourself a favor and go. It’s so fun. But be warned. You will probably come home with way more blueberries than you know what to do with. Stick those babies in the freezer and enjoy them all summer long in your smoothies.